Own A Luxury Lifestyle Inspired by Shriram Properties. Shriram Properties have launched a beautiful new project called Shriram Luxor at Hennur, Bangalore North. The project offers ultra-luxurious homes which co-exist with nature. The futuristic dwellings are filled with the best comfort and luxurious amenities. The residential project will be built using Mivan technology that is specially created for those who desire a living place, “where life is celebrated every day”. The homes are designed using eco-friendly techniques in sync with the latest in construction technology. Shriram Luxor Hennur is an IGBC (Indian Green Building Council) Green Homes certified project. Each apartment in this residential complex has been planned keeping in mind the optimum use of space. Each building and apartment within the complex has been conscientiously planned, keeping in mind the principles of Vaastu and Feng Shui, which ensure a calm and peaceful environment to home buyers. Shriram Luxor is an elite creation which contains homes that will leave you truly impressed. The apartments have been designed keeping in mind the needs and demands of modern home buyers. The lavish project offers an enhanced lifestyle that you have always wished for. Spread over a sprawling 5 acres of prime land, the luxury project has excellent internal and external amenities. The project is designed with high quality vitrified tiles, with beautiful French doors in the living room that give access to the balcony. The homes are designed keeping luxury and comfort in mind which makes Shriram Luxor one of the best residential apartments for investment in Bangalore. The project has spacious 2, 2.5and 3 BHK apartments in different configurations. The grand residential venture Shriram Luxor Bangalore by Shriram Properties is located in Chikkagubbi on Hennur Main Road, Bangalore. The apartments come with all modern amenities like swimming pool; kids’ play area, multipurpose room, club house, gymnasium, etc. It has rainwater harvesting. The project has an intercom facility, 24x7 security, CCTV cameras and more for complete security of your family. The residential complex has a jogging track, library, crèche, and more to keep your whole family occupied. There is a video door phone, landscaped gardens, power backup, and high speed lifts. The complex is filled with sports activities including chess, basketball post, tennis court, table tennis, skating rink, indoor badminton court, aerobics, and much more. 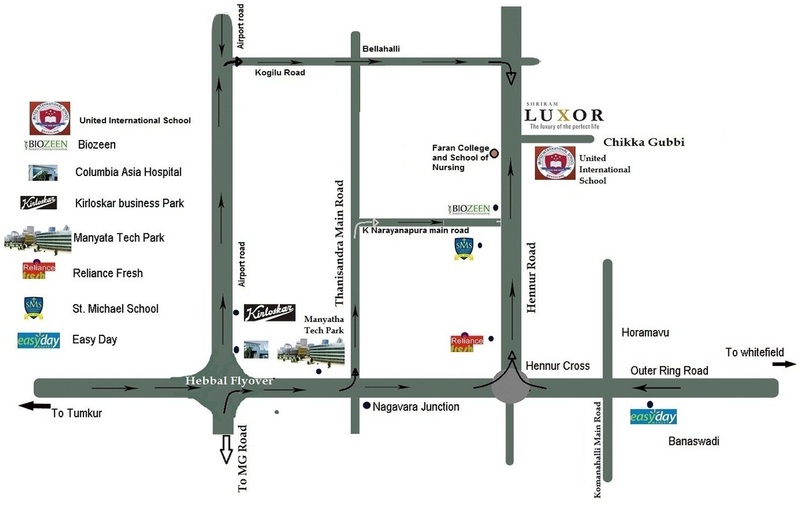 Strategically located on Hennur Main Road, the project is in close proximity to a number of corporate offices. It is just 11.4 kilometre from Bangalore city through Hennur-Bagalur Road. The Banaswadi railway station is just 7.6 kilometre and Bangalore International airport is just 14.5 kilometres away from Shriram Luxor. The area has a number of shopping malls, hospitals, hotels, banks, and schools. Shriram Luxor price is extremely affordable keeping in mind the luxuries available to home buyers. Shriram Luxor offers a golden opportunity for investment for home buyers that will give excellent returns in the next few months! Surrounding Developments: Beyond the gates of Shriram luxuries! 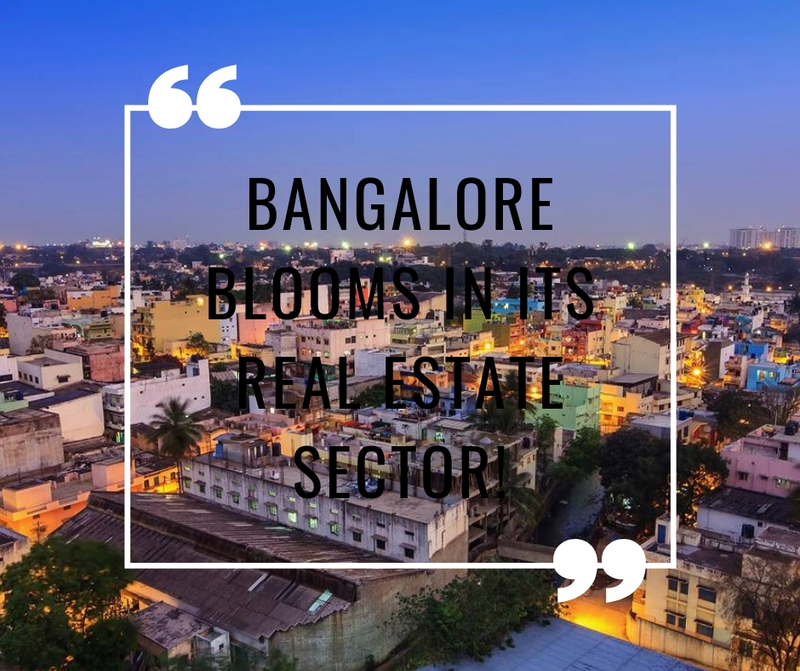 Bangalore is an expanding megacity. Regions that were once considered as its outskirts have slowly entered the city zones. Infrastructural developments are rapid, and a huge working population is choosing to settle on these grounds. The upgradation of these parts happened due to the arrival of industrial activities in the region. IT belts were established in their proximity and demand for residential developments were increased. Strategic location, good connectivity, access to main city, and proximity to the airport has all given their share to the zones upliftment. 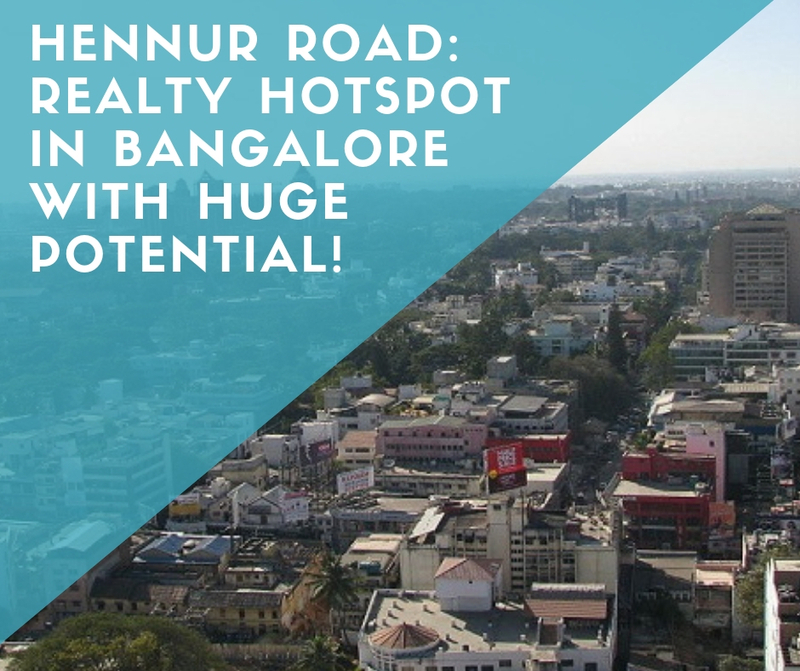 The two connecting roads namely Hennur Road, Thanisandra Road, Hebbal, the Outer Ring Road, Bellary Roadand Old Madras Road hasbrought together residential localities such as, Banaswadi, HRBR Layout, Yelahanka, Kogilu, Chokkanahalli, Bagalur Road, Doddaballapur Road, Yelahanka New Township and Jakkur. These localities have given the inhabitants a wide range of reasonably-priced housing options. Prices of property are escalating and investments in the region for commercial or residential use is turning profits for everyone. 10 minutes from Manyata Tech Park & ORR. 75% Green project with IGBC Gold certification.